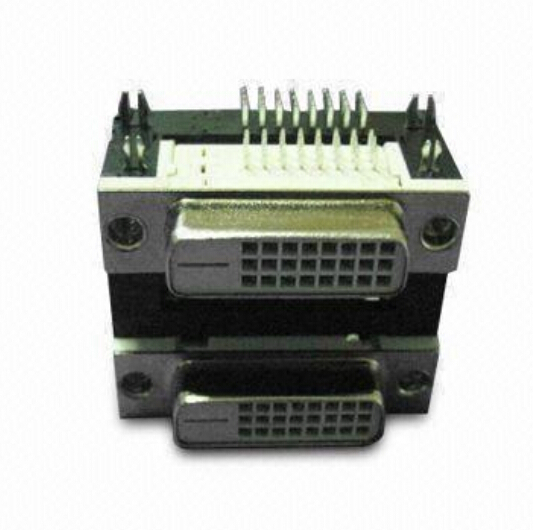 China Shenzhen Antenk Electronics Co., Ltd. promoted a DVI 24+1 Female Dual Port Angle DIP Type connector. In addition to supporting the new interactive digital video system (DVI) standard, the Dvi Connector complies with existing industry standards, including VGA, DFP, and P&D standards, and supports single analog input, single digital input, and digital/analog integrated inputs. Video features. It has a long life cycle and can be used in the field of mobile devices. The unique mechanical design improves EMI/RFI performance. 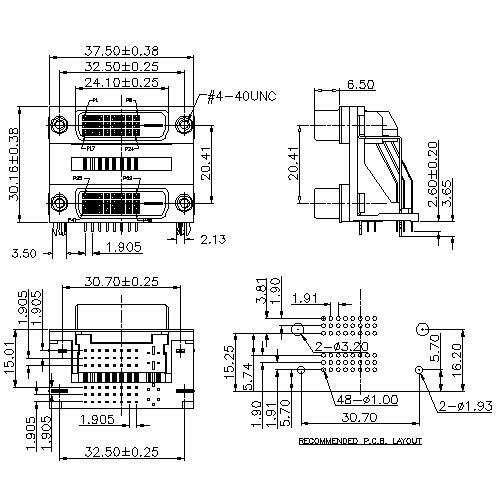 Looking for ideal Dual Port Angle DIP Type Manufacturer & supplier ? We have a wide selection at great prices to help you get creative. All the Single Analog Input Connector are quality guaranteed. We are China Origin Factory of Digital Video System Connector. If you have any question, please feel free to contact us.